Gilden’s Art Gallery is delighted to present our new exhibition – Italy Uncovered – offering a survey of both the major Italian art movements and those which are lesser known. We begin our focus on the most celebrated movement of Italian twentieth-century art – Futurism. This involved the exploration of not only motion but also the rapidly advancing industrialisation of the world. With this in mind, we are particularly proud to present a number of unique works on paper exploring Aeropainting, a form of futurism devoted to aviation. 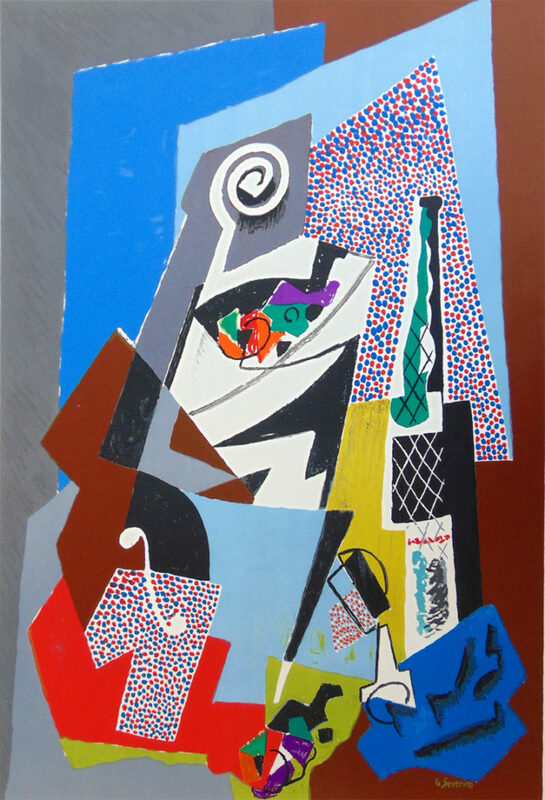 This leads to a diverse exploration of Metaphysical Art and Surrealism, which were two movements undertaken in the same period between the World Wars. The Novecento movement offers a glimpse of some of Italy’s best-known artists from Campigli to Marini and explores the relevance of Italy’s antique past to contemporary representation. Arte Povera has become synonymous with Italian Post War art. It is distinguished by its use of every day, found objects or those deemed to be without value, which are then subsequently transformed artistically. 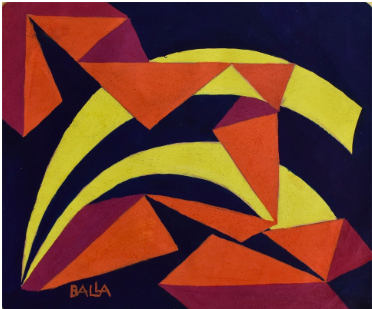 Like much of the wider western world the decades following the Second World War also saw Italian artists looking outside of their national sphere and embracing international movements. We are pleased to show a number of works belonging to the International movements of Abstraction and Minimalism from Dorazio and Calderara. Working simultaneously, Schifano and Adami were creating work belonging to the New Realism and the Pop Art movement, which again highlights the exposure to global art movements in the latter quarter of the twentieth century. 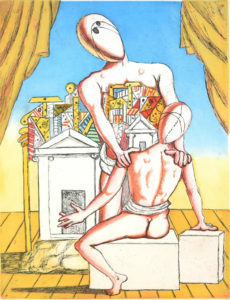 One of the unique qualities of the Italian artistic movements of the twentieth century is that there is no one dominant region or centre for creativity, but rather pockets of innovation, schools of thought and manifestos that emerged from right across the country. This, in turn, has allowed artists, regardless of a region to contribute creatively to the visual language of Italy. For this reason, we hope you will enjoy the opportunity to uncover or rediscover some of your favourite artists.